Say “Bon Voyage” to 2018 on a New Year’s Eve Celebration Cruise featuring an open bar! 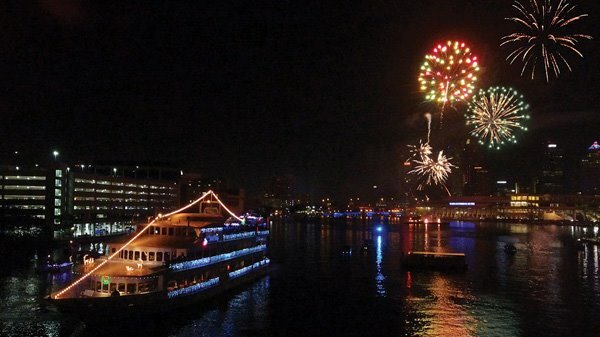 This festive cruise is the best way to celebrate NYE on the water. Dine on gourmet food (select cruises), sip on delicious cocktails and dance the night away under the stars. Cruises also include a champagne toast at midnight for guests to ring in 2019 on the water! Please note, the NYE cruise on StarShip III does not include food.